Transmission: Automatic Color:Silver Interior Color: Black Average Vehicle Review: (4.714 reviews) Great paddle shifters and response in manual mode. Crisp, clear infinity sound system. Connects to your phone quickly ( Galaxy S5 ). Decent fuel mileage for the 2.0T. Nice paint job. Responsive cornering and steering. Comfortable/ Supportive seats. Sunroof a nice touch. Gage placement is fine for me (3) gauges. Fuel,boost,etc. 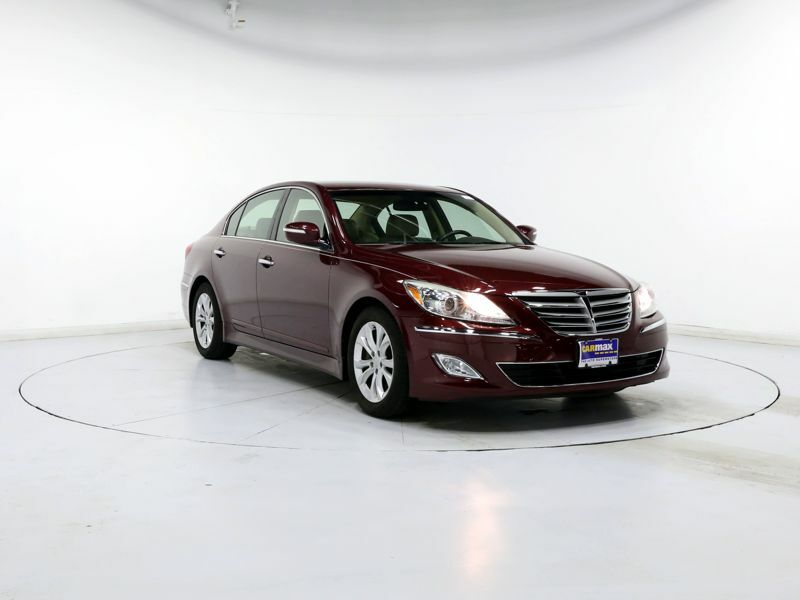 Transmission: Automatic Color:Red Interior Color: Tan Average Vehicle Review: (4.667 reviews) It is a top of the line car that is expensive if bought new, but affordable used. I was looking for a comfortable driving car since I owned a Lincoln Town car and was used to comfort. 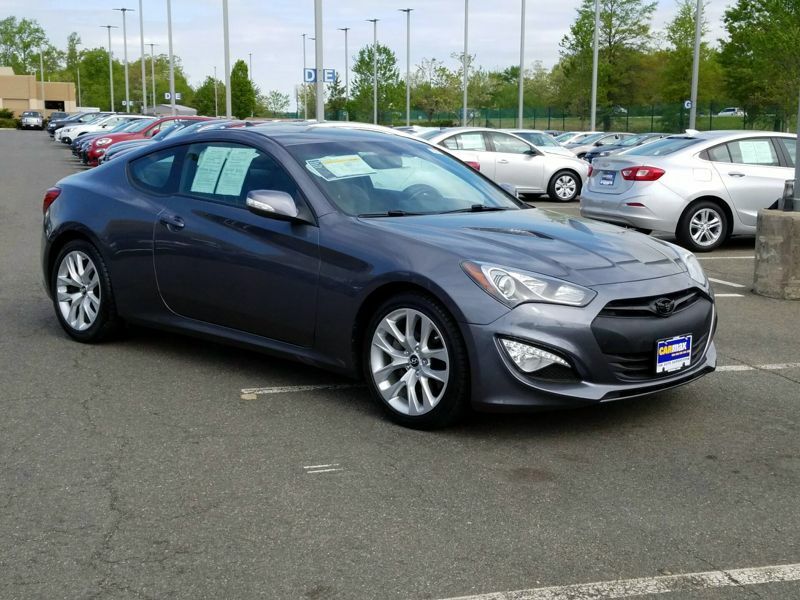 This car was the most comfortable I test drove and has alot of premium features. Transmission: Automatic Color:White Interior Color: Black Average Vehicle Review: (5 reviews) Great car, excellent value. Previously only owned Mercedes-Benz and BMW but this car beats them all in terms of what you get for the price. This car is much more loaded with options than my last Mercedes-Benz E Class. The only disadvantage or concerns is the absence of 4 wheel drive capability. Otherwise, a great purchase and my next car will be G90. Transmission: Automatic Color:Gray Interior Color: Black Average Vehicle Review: (4.7 reviews) Performance, handling, comfort, accessories; all top notch. I loved this vehicle from the first test drive, and even though I was at the dealership to test drive a Mercedes and a BMW, this car won hands down. Price/performance ratio compared to those other cars is just better. 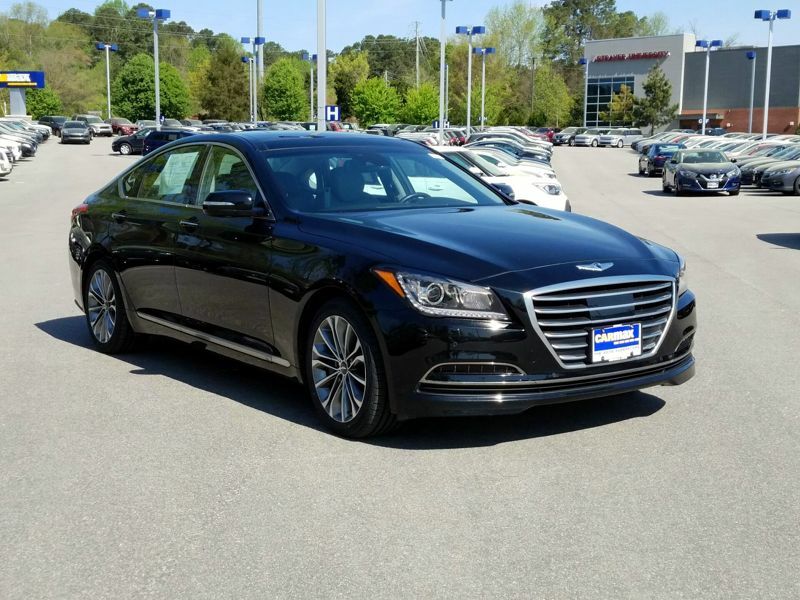 I don't need a 'status' emblem - I need a reliable, fun, good looking car that won't break the bank, and I found it in the Hyundai Genesis. Transmission: Automatic Color:White Interior Color: Black Average Vehicle Review: (5 reviews) The car drives and handles like a dream...interior is magnificent with all the bells and whistles one could ever want. I traded in an SC 430 Lexus for this big boy and have been happy with my choice ever since. Be prepared for a lot of compliments and inquiries as to what it is. Transmission: Automatic Color:White Interior Color: Gray Average Vehicle Review: (5 reviews) This was my first time purchasing a car through a dealership and I made the best choice with this car!! This car has all the perks of a luxury car! Quality interior wood grain and leather finish, very smooth ride, good on gas, and I haven't had any issues with the car so far. I get my tune ups and oil changes on time. It's like having the reliability of a honda with the style of a mercedes!!! Thank you Hyundai!! 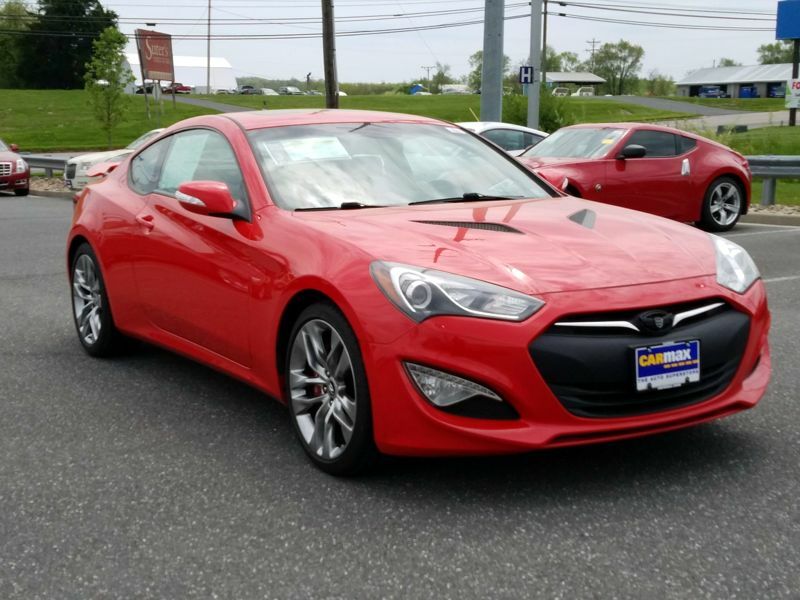 Transmission: Manual 6 Speed Color:Red Interior Color: Black Average Vehicle Review: (4.7 reviews) Great paddle shifters and response in manual mode. Crisp, clear infinity sound system. Connects to your phone quickly ( Galaxy S5 ). Decent fuel mileage for the 2.0T. Nice paint job. Responsive cornering and steering. Comfortable/ Supportive seats. Sunroof a nice touch. Gage placement is fine for me (3) gauges. Fuel,boost,etc. 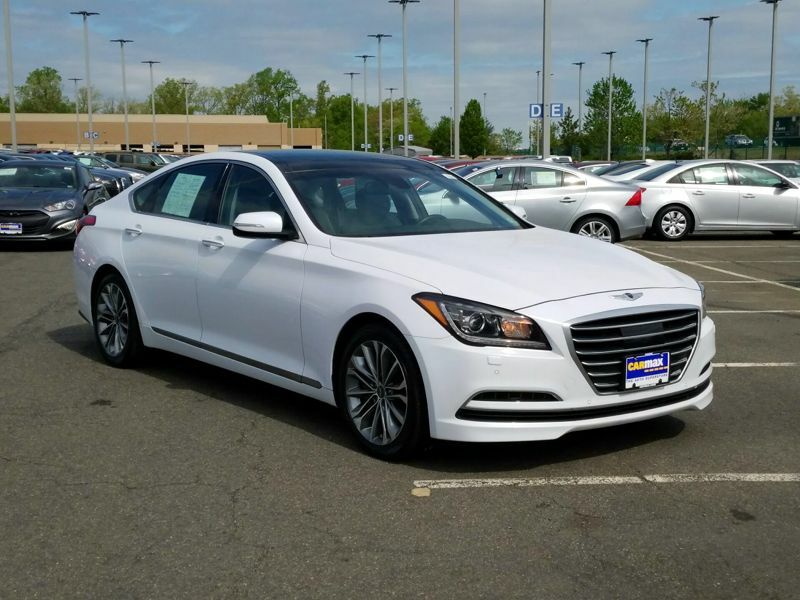 Transmission: Automatic Color:Red Interior Color: Gray Average Vehicle Review: (5 reviews) This is the second Genesis I've owned. Both have been exceptional cars. 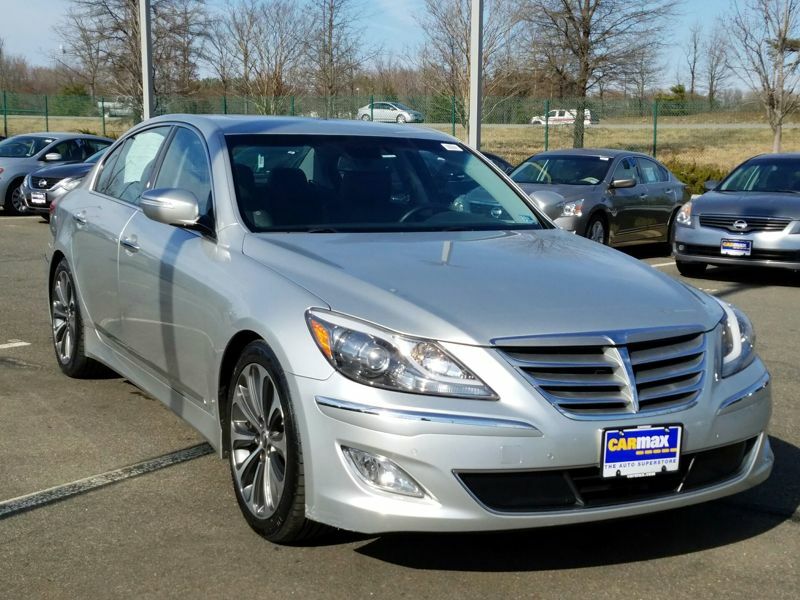 My 2012 Genesis was RWD and that wasn't very practical for the winters in Spokane, WA. I loved that car because it was fun to drive and very comfortable and dependable. I like a car with good performance and the 2012 was a rocket even with having the smaller V-6 engine. 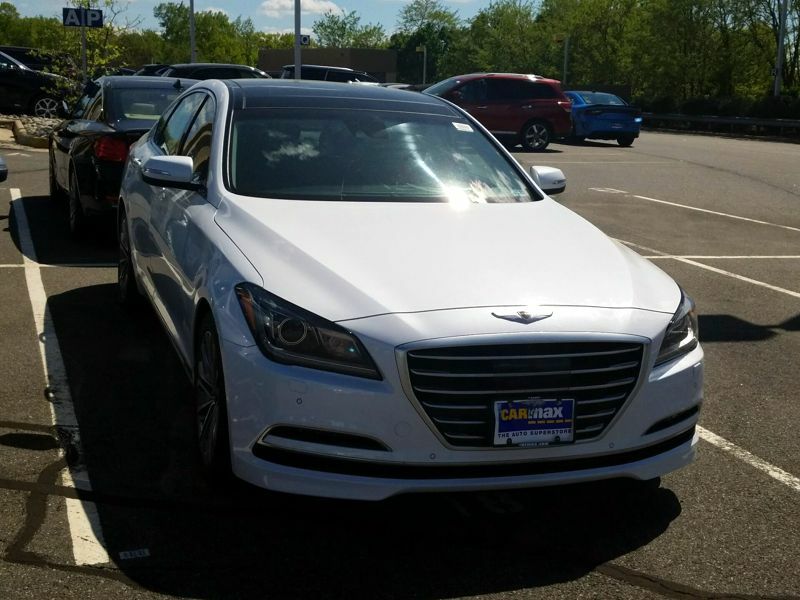 The 2015 Genesis we purchased in September of 2016 is AWD. I have to say AWD makes the winter driving around here pretty easy even with it's high-performance all-season tires (they're really just 3 season tires) that it came with. We love this car...it's got tons of great features and is very quiet. Transmission: Automatic Color:Silver Interior Color: Black Average Vehicle Review: (4.765 reviews) This car was 3 yrs old when I purchased it so I paid about 1/2 of MSRP if it were new. I got the 5.0 R-spec model with the V8 engine and 8 speeds. WOW! The car feels solid when you enter and close the door. 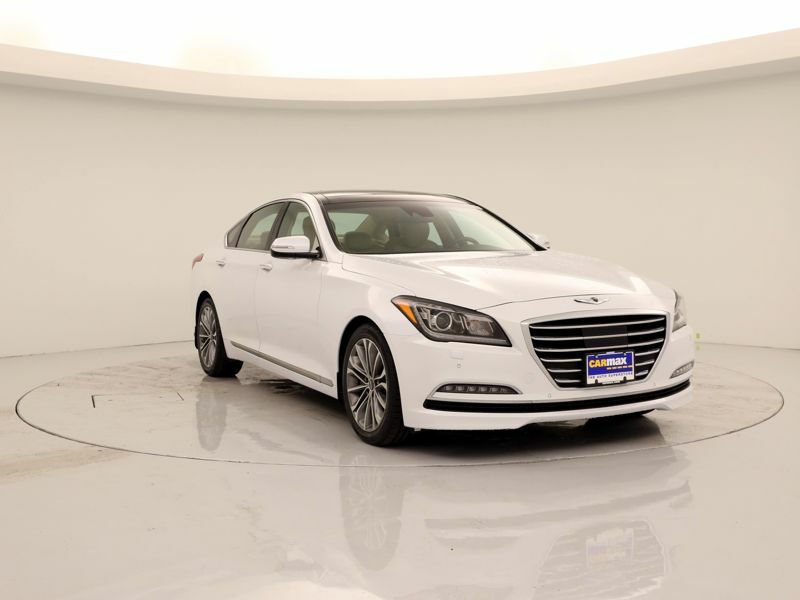 It has all the bells and whistles you'd expect in a luxury sports sedan - 19" wheels, heated/cooled leather seats, read sunshade, etc. It is FAST!! Straight line acceleration is terrific and it will take the curves of American highways and side roads as good as any other vehicle on the road. I'm getting close to 20 mpg on average. And the kicker is I fill up with 87 gas!!! You can't beat that with a stick!!! My car is black with cashmere leather and I'm constantly turning heads. Hands down, this is the best car I have ever owned,! 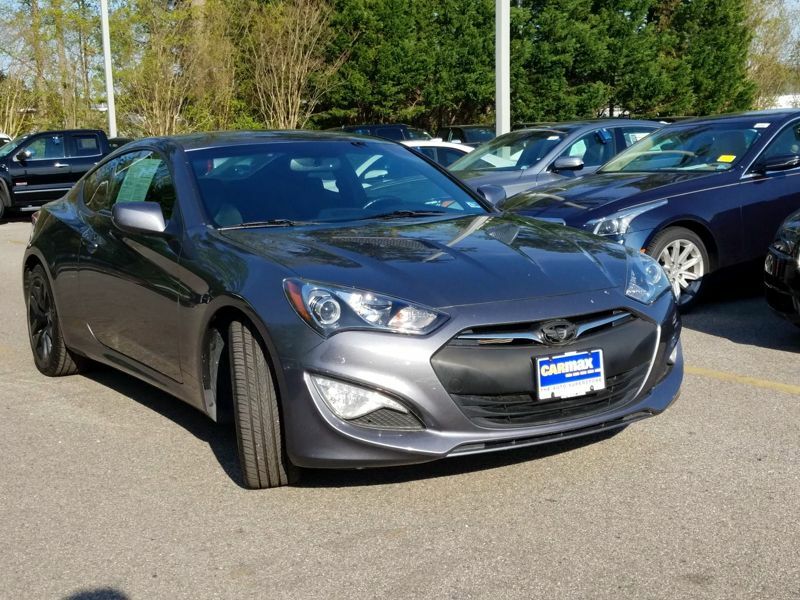 Transmission: Automatic Color:Silver Interior Color: Black Average Vehicle Review: (5 reviews) The worst thing about this car is saying you drive a hyundaI. Very sporty and hard when you want it to be and comfortable and quiet in the normal times. Interior is pretty sharp, its a plastic playground in there but don't get me wrong it's a very cool interior. Definitely need to get the track version with the brembos. 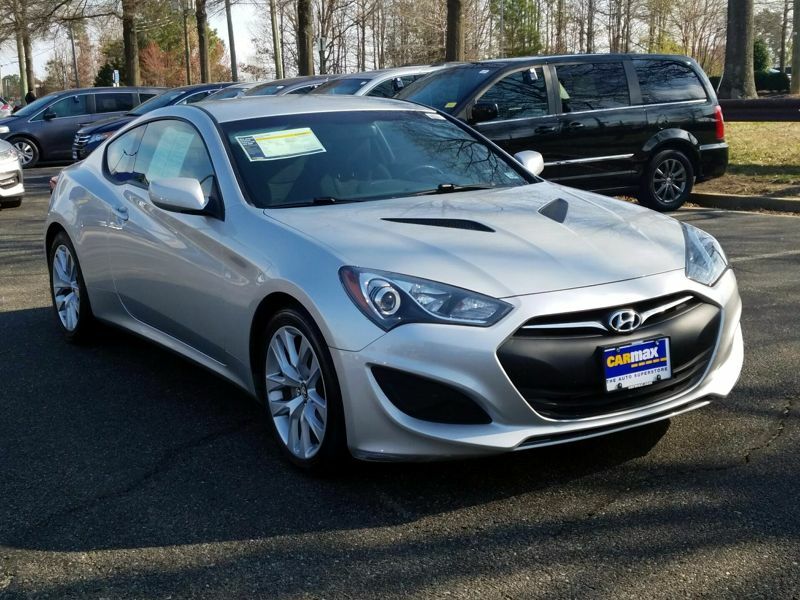 Transmission: Automatic Color:Silver Interior Color: Black Average Vehicle Review: (4.765 reviews) The worst thing about this car is saying you drive a hyundaI. Very sporty and hard when you want it to be and comfortable and quiet in the normal times. Interior is pretty sharp, its a plastic playground in there but don't get me wrong it's a very cool interior. Definitely need to get the track version with the brembos. Transmission: Automatic Color:Gray Interior Color: Black Average Vehicle Review: (5 reviews) Performance, handling, comfort, accessories; all top notch. I loved this vehicle from the first test drive, and even though I was at the dealership to test drive a Mercedes and a BMW, this car won hands down. Price/performance ratio compared to those other cars is just better. 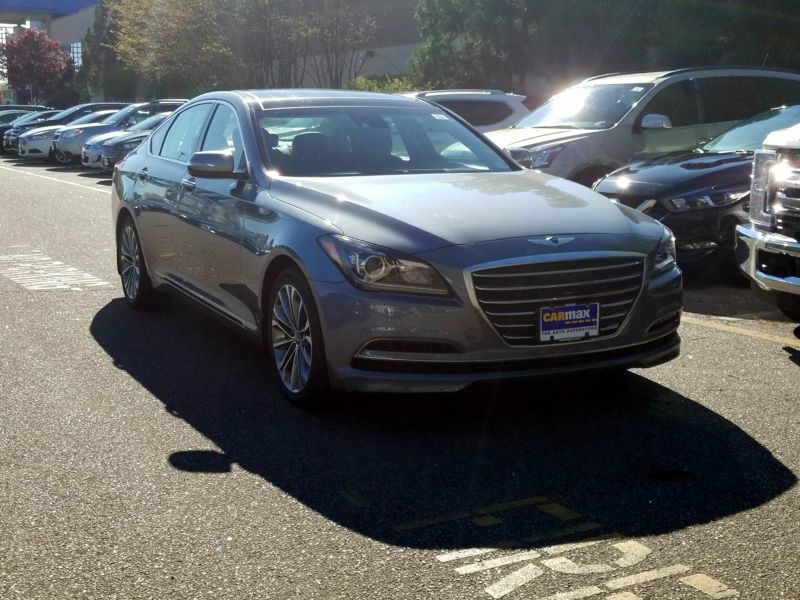 I don't need a 'status' emblem - I need a reliable, fun, good looking car that won't break the bank, and I found it in the Hyundai Genesis. 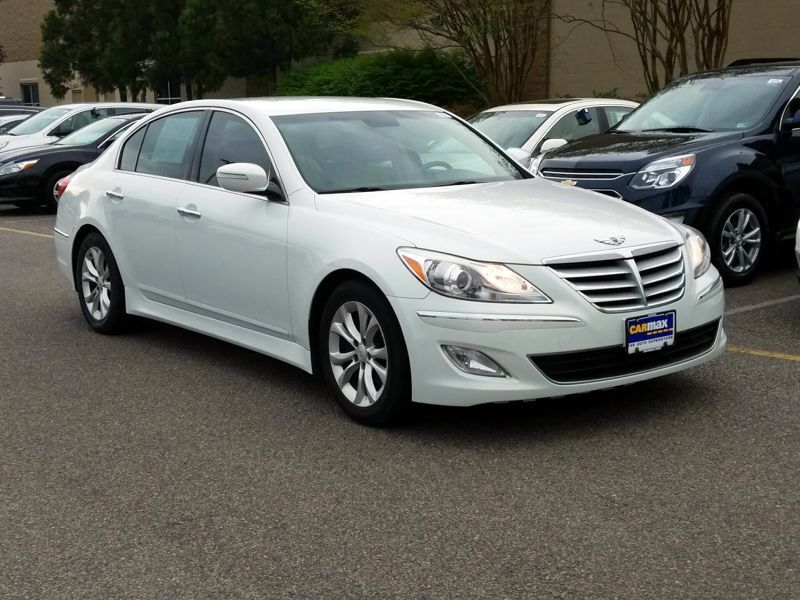 Transmission: Automatic Color:White Interior Color: Tan Average Vehicle Review: (1 reviews) My 2012 Genesis has the Technology and Premium Packages options and is a joy to drive. Very comfortable interior, with heated front and rear seats and a ventilated driver's seat as well. 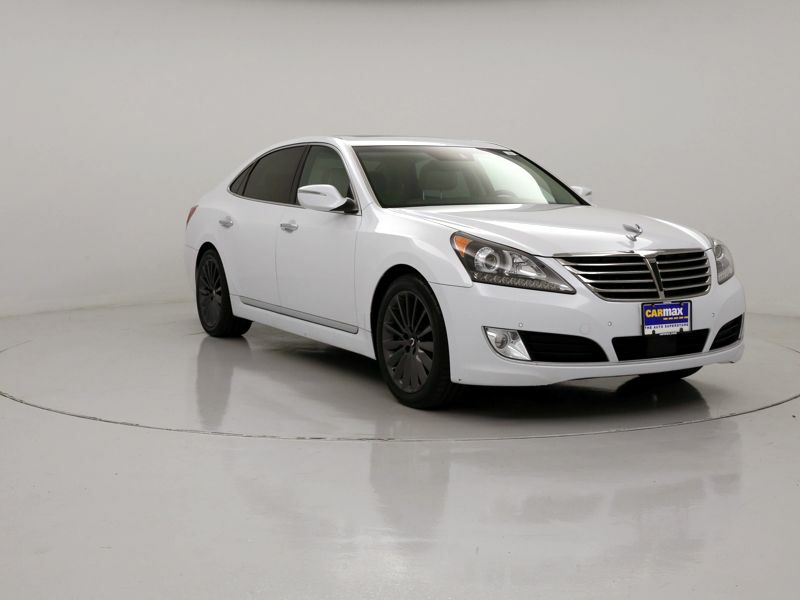 It has all the luxury options one could ask for and the 3.8L engine has remarkable efficiency and power. Highway MPG is around 26-27 MPG, and around 19 MPG in stop-and-go. Transmission: Automatic Color:Gray Interior Color: Black Average Vehicle Review: (4.7 reviews) This car was 3 yrs old when I purchased it so I paid about 1/2 of MSRP if it were new. I got the 5.0 R-spec model with the V8 engine and 8 speeds. WOW! The car feels solid when you enter and close the door. 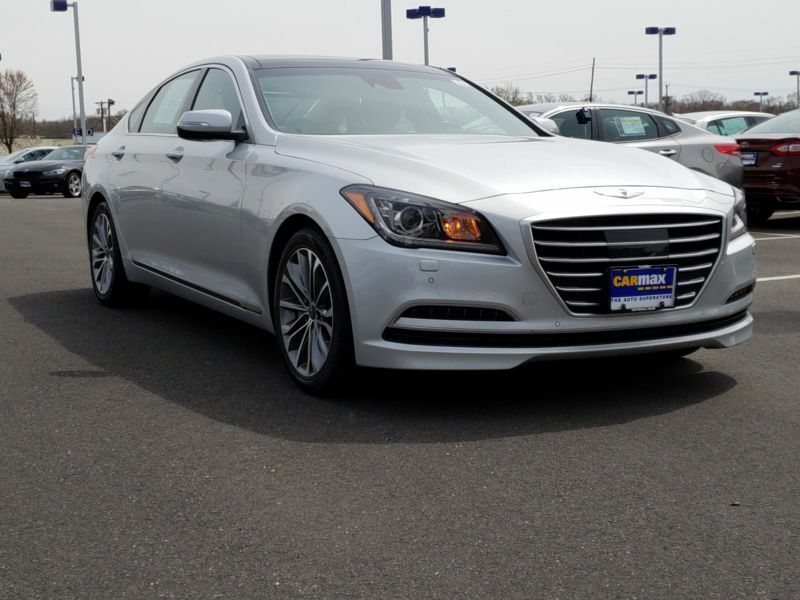 It has all the bells and whistles you'd expect in a luxury sports sedan - 19" wheels, heated/cooled leather seats, read sunshade, etc. It is FAST!! Straight line acceleration is terrific and it will take the curves of American highways and side roads as good as any other vehicle on the road. I'm getting close to 20 mpg on average. And the kicker is I fill up with 87 gas!!! You can't beat that with a stick!!! My car is black with cashmere leather and I'm constantly turning heads. Hands down, this is the best car I have ever owned,! Transmission: Automatic Color:White Interior Color: Tan Average Vehicle Review: (4.765 reviews) Great car, excellent value. Previously only owned Mercedes-Benz and BMW but this car beats them all in terms of what you get for the price. This car is much more loaded with options than my last Mercedes-Benz E Class. The only disadvantage or concerns is the absence of 4 wheel drive capability. Otherwise, a great purchase and my next car will be G90. Transmission: Automatic Color:Black Interior Color: Gray Average Vehicle Review: (5 reviews) It turn heads everywhere I go. It drives and looks great. It feels like you are driving an expensive luxury sports car and people treat you like you are. And with the 100,000 mile warranty you have nothing to worry about but where can you go next.. Transmission: Automatic Color:White Interior Color: Tan Average Vehicle Review: (5 reviews) I've owned a lot of cars (5 BMWs, 2 Audis, a Mercedes, a Porsche, and a bunch of miscellaneous ones like classic Mustangs and old Mini rally cars). When I switched businesses from TV production (lots of car commercials) to real estate, I needed to go with something big enough for several people comfortably that wouldn't have crazy maintenance costs (bye, Mercedes), and wasn't so crazy expensive with the amount of driving I do (25k per year, so leasing was out, and the depreciation on a new BMW was out of the question with that much driving. Hence trying out the Genesis. Great value. Zippy. Comfy.  The only mistake I made was no getting one with the technology package, since the rear is high enough that I'd like it to have a backup camera. 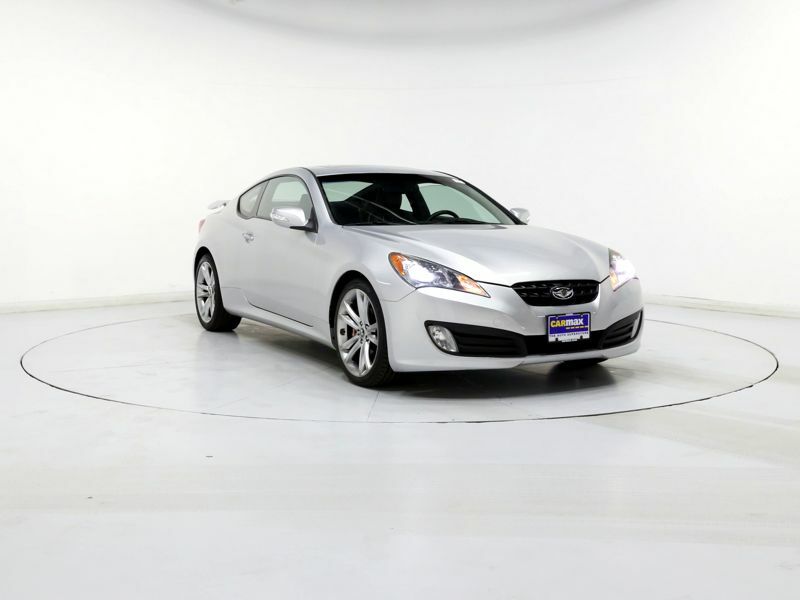 It is a top of the line car that is expensive if bought new, but affordable used. 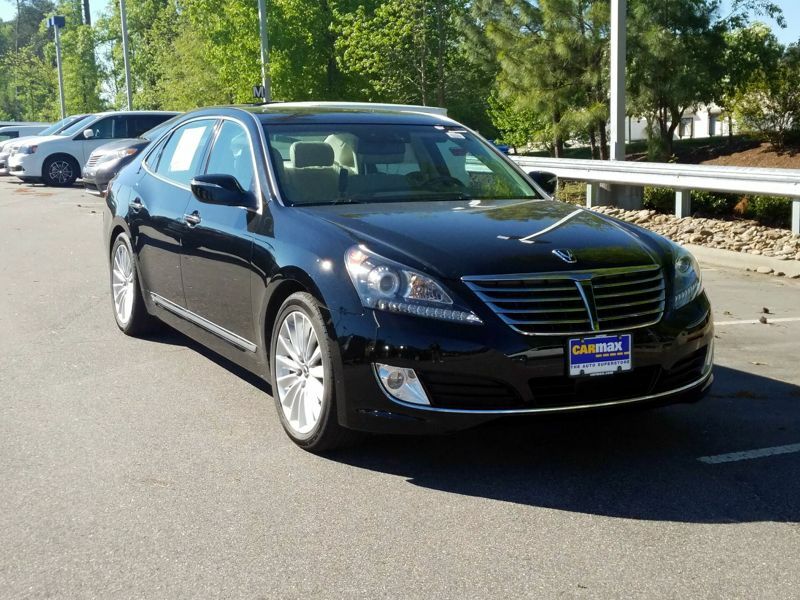 I was looking for a comfortable driving car since I owned a Lincoln Town car and was used to comfort. This car was the most comfortable I test drove and has alot of premium features.